Resistance exercise bands are one of the best strength training tools for weight loss. Fitness experts usually recommend strength training to burn unwanted fat quickly and maintain a healthy weight. If you follow the traditional method, you will be confined to using barbells, dumbbells or other strength training equipment that you can only get in the gym. But how do you use all this heavy equipment at home with limited space? What happens when you go on a trip and you need to do your workouts? That is where this type of equipment becomes very handy. They make it easy for you to do your workouts anywhere. Training bands are easy to use. They are available in various colors and they cater to three main strength levels: light, medium or heavy. So whether you are a beginner, who is just starting out with resistance training or you are an experienced weight lifter, you will find a band that is suitable for you. In addition, you can easily adjust the resistance when you want to increase the intensity of your workout. You may decrease or increase the tension by loosening or tightening the band. For example, if you decide to do squats with your band and you put the band under your legs, you can increase the resistance by widening the space between your feet. 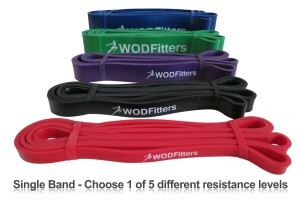 One of the greatest benefits of training bands is their relatively low cost. In fact, they are the cheapest type of strength training equipment you can buy. Their prices range from as low as $6 to about $80 for the premium quality brands. 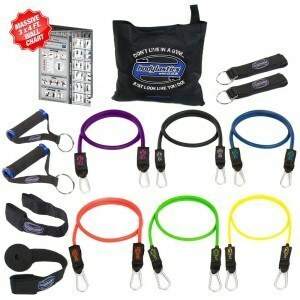 exercise bands are usually sold in sets which include all three strength levels while some even come with training videos. These videos show you how to use the bands to exercise various muscles in your body. In comparison, if you are to buy weights, you may need to part with up to $300 or more to get a complete set of weights. These bands are designed to provide a limitless number of exercises. You are free to stretch your imagination and create as many exercises as you desire. You can create a new exercise by simply altering the angle of your movement or by changing the tension of the band. As you gain more experience with these bands, you will discover how to vary your exercises to shed more fat and strengthen your muscles. Exercise bands will serve you well when you need to shed excess fat from a specific section of your body or when you want to have a balanced workout for all muscle groups. Using dumbbells or barbells to do strength training does not provide equal tension during the full exercise motion. For instance, when you are using dumbbells for your biceps, you will feel a strong resistance when you are lifting the weight. But the resistance is much less when you lower it. However, when you are using these strength training bands, you will feel the tension during both motions of the exercise. Thus, you will have a more balanced resistance training and prevent uneven fatigue in various muscle groups. You don’t need a lot of space at home to store your equipment. In fact, they can be tucked away neatly in your closet. They are lightweight and very easy to carry around. So when you need to go on a trip, they will fit into your suitcase at no extra cost. Then you can use them to burn off unwanted fat and you’ll come back from your trip looking fit and trim. On the other hand, if you have to take your dumbbells along, you will need to spend more money for extra luggage. Most people who are serious about their fitness have used both dumbbells and exercise bands in their fitness routine. The both of them offer many choices in the kind of exercise and body part that you want to target while completing your workout. Some people would even suggest that they offer more benefits and flexibility than the larger equipment that is found in the gym. It is interesting to compare how the two of them stack up against each other. 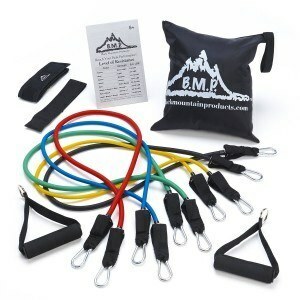 Exercise bands can be found in many different configurations and colors and are light and mobile. The different colors usually represent adding more or less resistance to your training session. Most people use them alone while working out but the better ones come with an added attachment that you can connect to a door or wall to enhance your workout. Training bands are made from different material. The majority of them are constructed from latex , so if you have a allergy be sure to look for the type that is right for you. It is also important to check the physical condition of the bands before you use them. If they have any signs of peeling or heavy use, do not use them for safety reasons. The only downside of using training bands is that your strength may build up over time, and it could become difficult for you to increase your max while using them. Using bands are not like using weights, at some point you will run out of tension to add, to increase the intensity level of your work out. The reason why most people choose dumbbells over exercise bands is that you can add more weight, therefore increasing the level of your workout session. By working out we free weights, your max is pretty much limitless because you can always add more weight when you feel like you are not getting in a good enough workout. When working out at home, most people do not have the available space needed to store large weight lifting equipment. The plates, bars and dumbbells require a lot of room for storage. One of the other major disadvantages of using free weights is the cost of purchasing equipment. The stronger you get, and the more weight you need to add for a good work out can get to be very expensive after a while. Also, if you use very heavy weight a spotter is usually recommended so you don’t hurt yourself while working out. A spotter is not required when using exercise bands. Training bands add variety to your exercise routine. You can use them alone or with other regular resistance training tools and gym equipment. After you have been practicing a particular set of exercises, your muscles could easily become used to them. 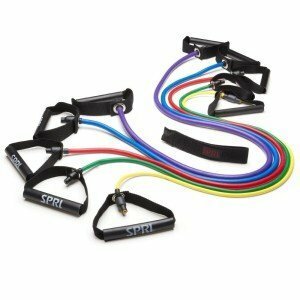 But these bands can easily modify the tension and intensity of your workouts and make them more fulfilling. Those are some of the major benefits of using this type of training equipment for exercise and weight loss. 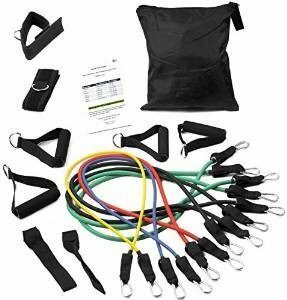 With this simple and effective tool, you can do your workouts more regularly at home, or anytime you travel, and keep your body in an excellent state of health.